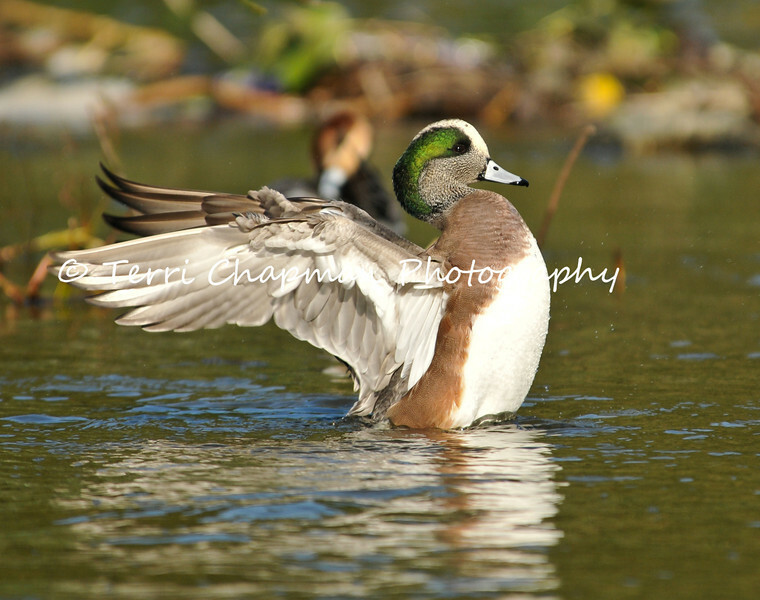 This image is of an American Wigeon stretching his wings, in the Los Angeles River. The picture is angelic to me. American Wigeon's short bill enables it to exert more force at the bill tip than other dabbling ducks, thus permitting efficient dislodging and plucking of vegetation. Populations declined by approximately 50 percent in the 1980s as a result of extended drought in prairie regions, but have since largely recovered.